On Saturday, 15th October, we had the pleasure of welcoming Beavers, Cubs and Scouts from Bassetlaw District Scout Association to our Clubhouse to help them celebrate Jamboree on the Air (JOTA) 2016. Using our radio equipment the youngsters had a chance to talk to folk in various parts of the UK and into Europe, including Sweden, Austria,Italy, Brittany, Czech Republic and Spain. They also did a little bit of direction finding outside, learned some Morse code and how to find beacons using beam antennas…. most definitely some future young amateurs in the making! 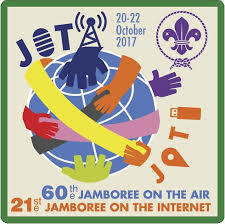 Over the last month we have working hard to make sure we are all ready for our Jamboree on the air event for Bassetlaw Scouts. We are very much looking forward to welcoming them.